NOTE: These products are availabe in-store at ABLE CRYSTALS for pick-up only. 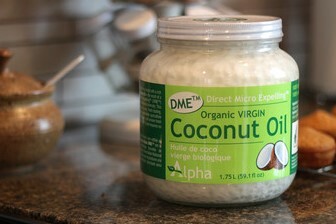 Alpha's Flavoured DME™ is fantastic for oil pulling - it's a new taste without losing any of the coconut benefits. Plus, it's also great for spreads, smoothies, and even to fill the house with an amazing aroma when frying. 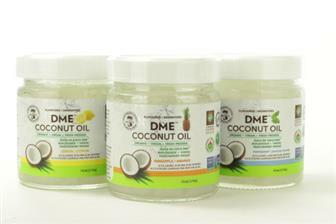 Like the original DME™, these flavour oils are certified fair-trade and are hand-pressed directly from fresh coconuts in the Solomon Islands by island natives on their own family farms. The DME™ process uses a manually operated cold-pressing unit to produce raw oil from fresh coconuts in as little as one-and-a-half hours or less. Such a short processing time eliminates the concern of mold growth or danger of other impurities. 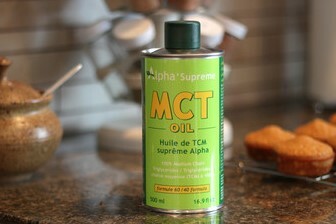 This is one of the things that sets us apart from every other coconut oil on the market. For this reason, it has earned multiple organic certifications. 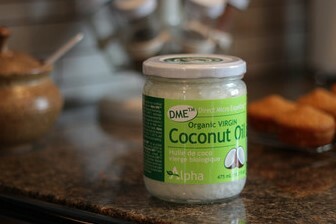 Alpha DME™ delivers the purest, highest quality raw coconut oil to your table. For health-conscious consumers and diabetics, Coconut Blossom Sugar can be considered one of the best sweetener substitute to white sugar because of the many advantages and benefits that it has to offer. Tests done by the Food and Nutrition Research Institute (FNRI) and Department of Science Technology (DOST) of the Philippines has revealed a low glycemic index (GI) of 35 compared to that of cane sugar’s GI of 50. Low GI food is good for proper control of diabetes mellitus. 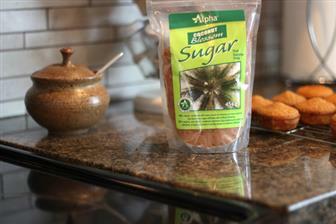 Alpha Coconut Blossom Sugar is 100% natural and unrefined with many traces of minerals and micronutrients, free from other sugar additives and artificial flavoring. 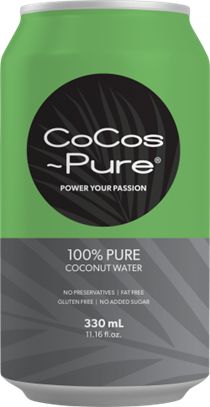 CoCos~Pure produces a 100%pure and natural beverage that brings home the taste of the tropics! Our premium line of coconut water is the ultimate refreshing and thirst-quenching drink made with coconuts and…..that’s it. CoCos~ Pure only uses coconuts from a single origin in Thailand so we only produce a consistent, fresh and natural taste. A source of calcium, copper, magnesium, phosphorus and proteins. 100% Premium coconut water. And that’s all. Available in our cooler or buy it by the case.